Chase is a video installation. 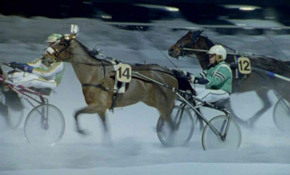 It is a documentation of a horse race on a trotting track. 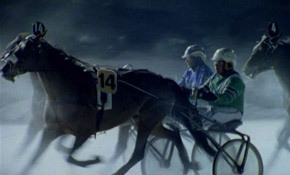 The race depicts a never-ending chase and has metaphorical references to everyday life heroes, winners and losers. 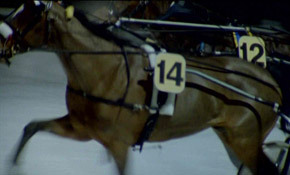 Chase was filmed during a real race and the camera follows especially the performance of one of the competitors and his horse.